On Tuesday November 15, Intel held an event in San Francisco to celebrate the fortieth birthday of its 4004 microprocessor--the first complete single-chip central processing unit. At the event, a panel of Intel executives talked about the history of the microprocessor and its future. Federico Faggin, the principal designer of the 4004, was an honored guest who spoke about his work on the project. The 4004 was conceived when the Japanese company Busicom commissioned Intel to help them produce calculators that contained a microprocessor. At the time, most people working on the project couldn’t imagine using microprocessors in any other application. Faggin however saw a greater potential. “Many of my colleagues believed the 4004 could only be used for calculators. I begged to differ," Faggin said. "I saw that many single control applications could be done with that computer." Now, we have microprocessors to thank for our cells phones, a concept that wasn’t thought of in the 1970s. "Cell phones were born because you could put a computer inside a telephone, [back then] people didn't believe you could have that." Faggin spoke about the immense impact that the microprocessor has had on our lives, saying that, “Two inventions, more than any others, have made a significant impact on our lives; the engine and the computer. Microprocessors have allowed us to expand [technology] to where computers couldn’t fit”. The Busicom calculator that the 4004 debuted in. One theme the panel discussed was the ubiquity of the microprocessor; it can be found just about everywhere--from electric toothbrushes, cell phones, and cameras, to cars, MP3 players, and small appliances. It’s harder and harder these days to find something that plugs in and doesn’t use a microprocessor. 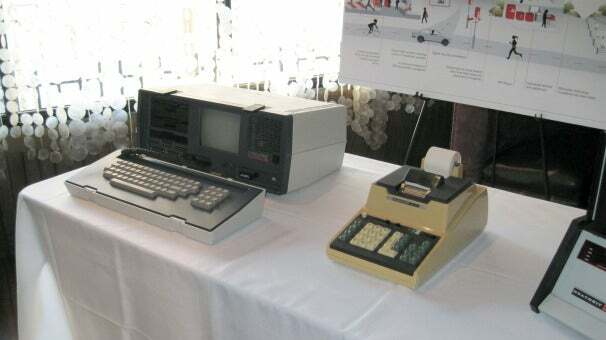 Some Intel relics were on display at the event, including the Busicom 141P--the calculator for which the 4004 was designed. In front of the calculator lay an actual 4004 CPU--the chip is quite basic by today’s standards and it was very neat to see. 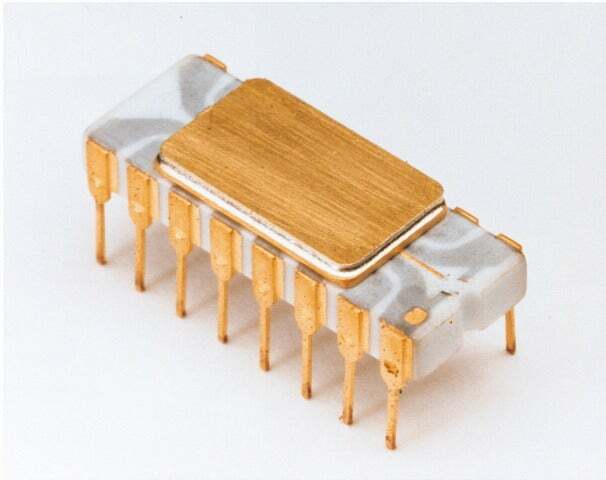 As the microprocessor turns 40, we marvel at far it has come. From massive computers that took up entire rooms to tiny smartphones, we have the 4004 to thank for paving the way for the technology we have now and the technology we can only dream of in the future.